His most recent book, Nemesis, published last year, is a return to Newark and for many commentators a triumphant return to high form after its more lackluster predecessor, 2009's The Humbling. Nemesis is set in Newark during the Second World War amid a polio epidemic that savagely attacks the children of the poor. Fear and panic start to kick away life's fragile edifices and anti-Semitism raises its head. "For me, the passing of time has provided me with subjects I never had before. Subjects I can now look at from a historical perspective. Like the anti-communist era in America. I lived through that, I was a boy, I didn't find a way to write about it until many years later. The same with the Vietnam war. I started to try to write the book that became American Pastoral back in the 1970s, when the war was just ending, but I couldn't do it. It took another 20 years. I wouldn't know what to write [about Iraq and Afghanistan, or 9/11]. It does take me 20 years to figure it out. "That book, Nemesis, began when I didn't know what to write next and I made a list of events through which I'd lived and which I'd never examined in fiction, never presented in fiction. Polio was on the list and when I went back through the list I found I'd circled polio." "The polio epidemic in 1944 did not exist. It's fictional. I knew one or two kids who had the disease, I heard the stories, but no one close." It is such a potent metaphor for attack on the home front, especially during wartime, that it evokes American Pastoral's human terrorist, the adored daughter of a high-achieving family turned murderous bomb-throwing war protester. But Roth is disinclined to talk in terms of metaphor. In a New Yorker interview, he indicated that allegory was a form he disliked and, during our conversation, he more than once says of a work we are discussing: "Well, it's about what it's about." For a writer whose work has always played dark games with truth and illusion, with alter-egos and their doubles, with protagonists and narrators who both are and aren't their author, with phoney confessions, fake biography, false history, with the laying of deceptive trails through the paths of narrative, this is a pretty clear way of saying: "Just read the books." That's what the writer—who is regularly described as "famously private" or "reclusive," yet might just be tired of questions—really does seem to want. 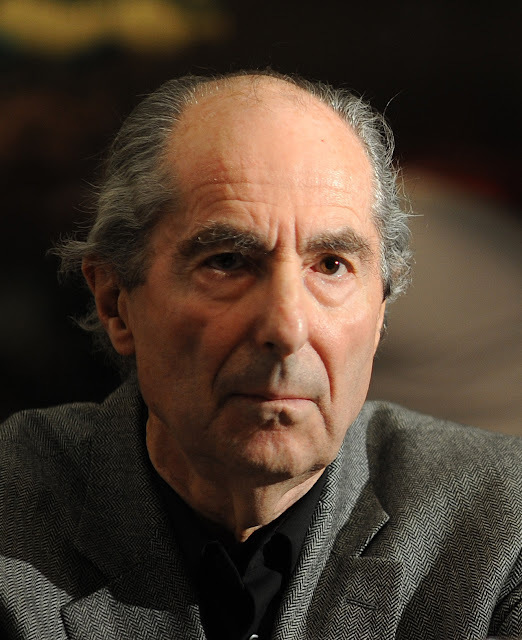 As we talk, Roth is perfectly courteous, perfectly charming, perfectly defended. Half a century of celebrity, since the publication of Portnoy's Complaint in 1969 brought him money and a turbulent kind of fame at the age of 36, has made him a master of the polite no-go sign. The conversation I'd longed to have with him since I first read him many decades ago, a conversation about fiction itself, died an early death.